Their family/agent arranges homestay boarding facilities, within Australian legal parameters. They should not be above a certain age upon enrolment at the College. Students should not be more than 18 years and six months old at the time they propose to commence Semester 1 of Year 11. This is a government requirement. They can provide proof of Overseas Student Health Cover (OSHC) to cover the period of their visa. Health cover may be obtained through the College. In order to keep fees at a minimum, Kennedy does not engage the services of, or pay commission to agents. 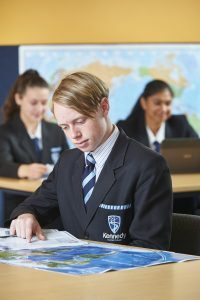 For more information on international student enrolment, please contact the Kennedy Registrar via email or phone +61 8 9314 7722. 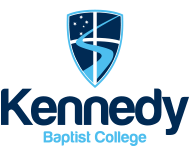 Kennedy Baptist College student fees cover tuition associated with the College's Academic, Cocurricular and Pastoral Care Programs. Textbooks and other course materials are purchased separately. The resource fee covers additional resources associated with each year group including (but not limited to) licensing and online subscriptions. Fees for subsequent years are confirmed by the College Board, around November each year. All families will be advised of the new rates via the College newsletter and website.